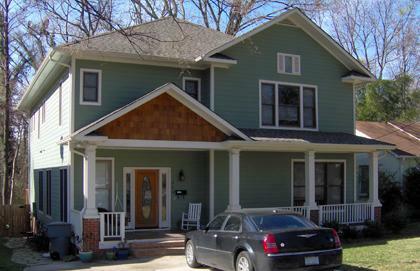 This newer home in Plaza Midwood received a full second floor addition. Included in the new space is a home theater and game room with a wet bar. The new master suite features a luxury bath with a Kohler infinity tub and a six jet shower fed by a Rinnai instant water heater.